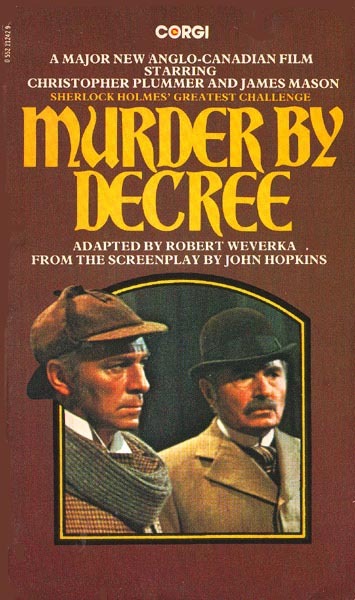 British novelization of the 1979 film starring Christopher Plummer as Holmes and James Mason as Watson. A U.S. edition was published by Ballantine Books. Sherlock Holmes lifts the veil of secrecy, corruption and terror at the heart of the throne of England itself. Clue by clue...murder by murder.